Camp Tawonga was established in 1964 on160 acres of stunning wilderness in the Sierra Mountains. Once a Miwok Indian settlement, the site has a rich ecological and cultural history, with a tapestry of dry and wet meadows and mixed hardwood and conifer forests that span the Tuolumne River. Over the decades, Camp Tawonga has hosted tens of thousands of children, teens, and families who have sojourned on the land, immersing themselves in the rich Tawonga culture of Judaism, community and love of nature. With LMS Architects and an interdisciplinary team of engineers and forest ecologists, O|CB contributed to a master plan that analyzed current conditions and shapes a vision for actionable stewardship and future growth of the camp. 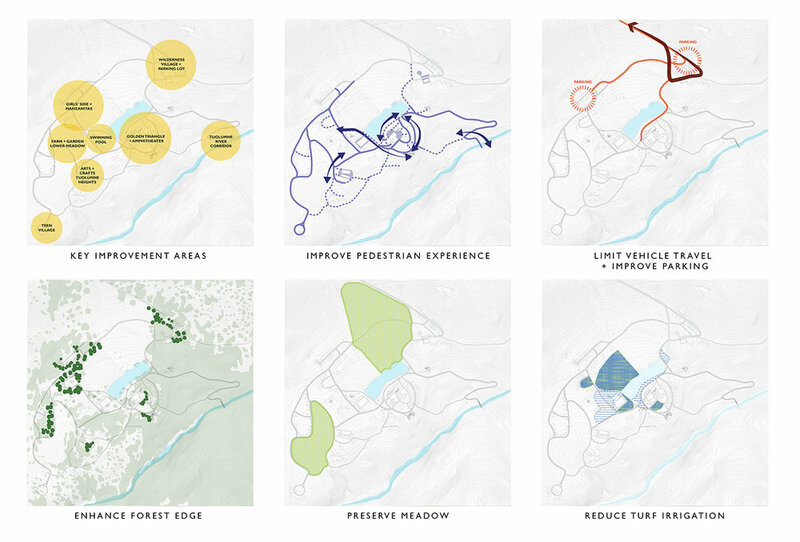 A framework plan for the camp outlines a multi-layered strategy to maximize the legibility and power of the landscape, improve the camper experience, preserve and repair the natural ecology, and minimize impacts of vehicular circulation and construction. To apply the general master plan goals and strategies, the team developed guidelines for circulation, construction, planting, preservation of resources, reduction of potable water use, and management of fire hazards. 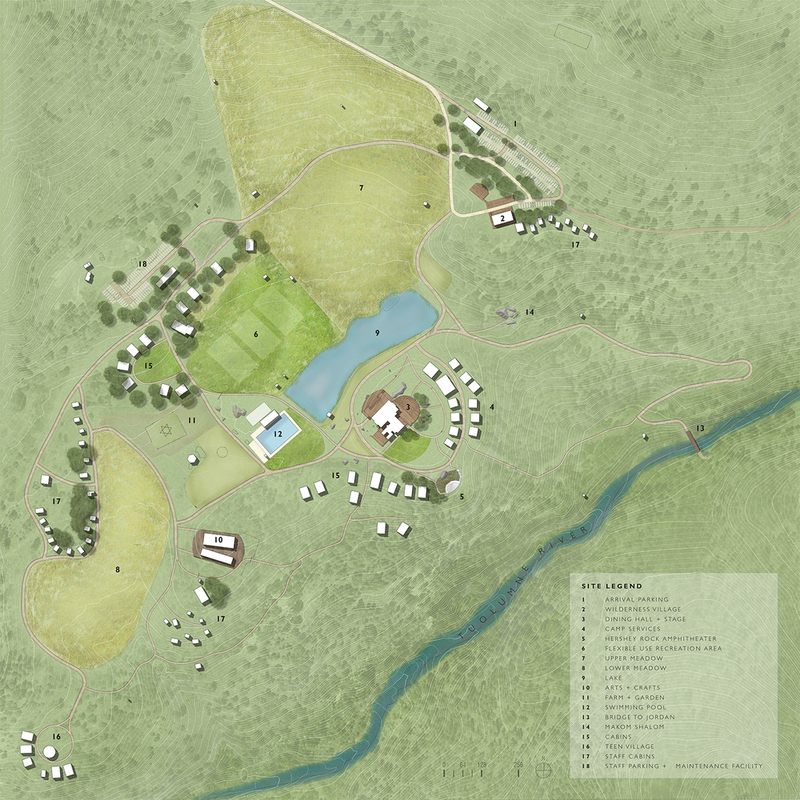 Area Plans for key gathering places at camp provide design direction for immediate implementation by the camp. A new outdoor amphitheater incorporating the iconic ‘Hershey Rock,’ an outdoor stage, expanded dining deck and outdoor classroom at the center of camp, and renovated Arts and Crafts and Wilderness Village areas provide new opportunities to sensitively integrate camp activities within the dramatic natural landscape and bring a new vision of sustainability to the forefront of camp experience.